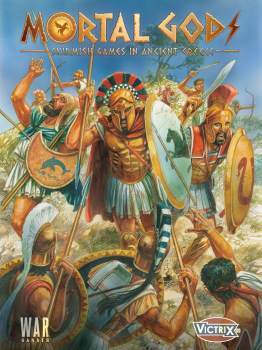 "Mortal Gods is a skirmish tabletop game played with roughly 15-25 models on each side. Players select their force before each game based around a single heroic leader, or 'Lochagos', along with a number of loyal companions. INC cards and 36 Victrix Plastic models"